In February 2015, the Alagille Syndrome Alliance (ALGSA) established the Alaina Kaitlyn Hahn Celebratory Scholarship in honor of the daughter of ALGSA Founder, Cindy Luxhoj. Alaina was born with Alagille Syndrome (ALGS) on September 30, 1990, and died from this debilitating disease on January 15, 2015, when she was only 24 years old. The Alaina Kaitlyn Hahn Celebratory Scholarship funds the education of high school graduates or GED credential recipients with ALGS who are entering or enrolled in an accredited US university, college or vocational school and choose to pursue higher education in the human biological, medical, or health sciences fields. The Scholarship is for $500 for a single year and is renewable for one year, subject to open competition with other applicants, for a total possible award of $1,000. Alaina cared deeply about other children and adults who battle ALGS. She talked, texted and emailed her many ALGS friends daily and was constantly sharing advice and experiences with parents and patients through social media. She lived and breathed this disease, but never let it limit or define her. 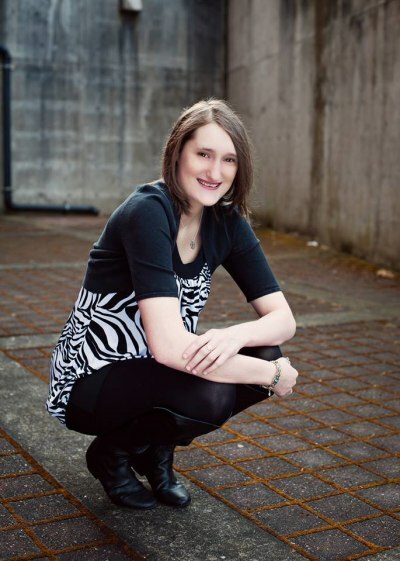 A graduate in Human Physiology from the University of Oregon, Alaina was pursuing certification in Orthotics and Prosthetics with plans to obtain a Masters in O&P from the University of Washington when she died. This scholarship honors Alaina’s legacy. Our goal is to make the Alaina Kaitlyn Hahn Celebratory Scholarship self-sustaining so any young person with ALGS who desires to follow a career in human biological, medical, or health sciences will receive a crucial financial boost in the pursuit of their educational dreams. Applications for the Alaina Kaitlyn Hahn Celebratory Scholarship open on January 15, 2019 and the application deadline is March 15, 2019. Awards are announced after April 1, 2019. Application materials will be available here each January for the academic year starting with Fall Term of each year. To be announced after April 1, 2019. For questions, please email alagille@alagille.org.